I am not sure if these are precious coral, in description, it only mentioned "coral". 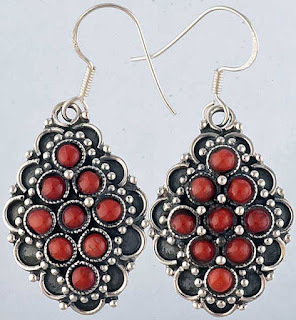 According to Wikipedia, precious coral or red coral is the friendlier/common name given to Corallium rubrum and several related species of marine coral. The distinguishing characteristic of precious corals is their durable and intensely colored red or pink skeleton, which is used for making jewelry. 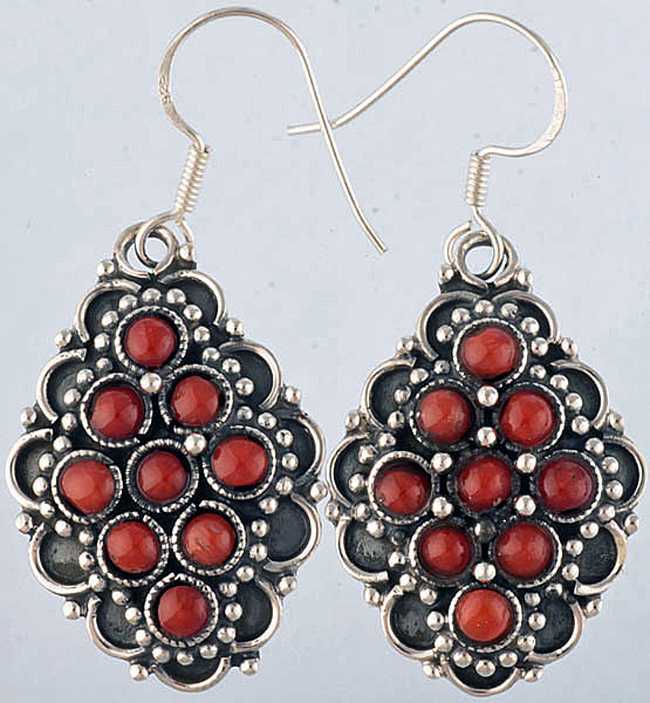 Grab this Sterling Silver Coral Earrings soon if you are keen, it's Christmas's color!